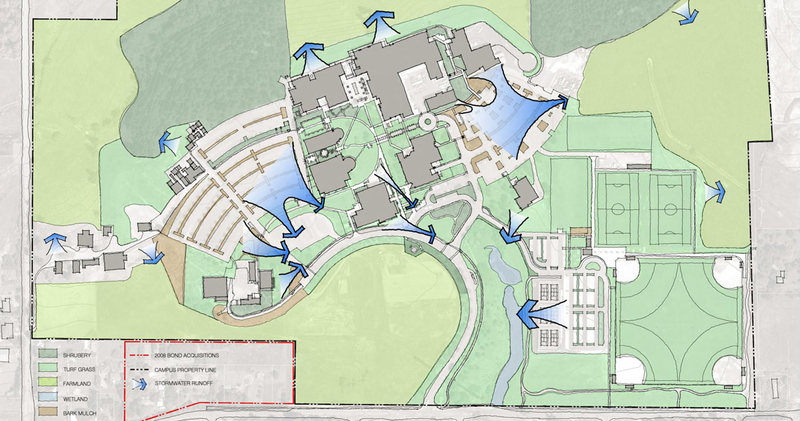 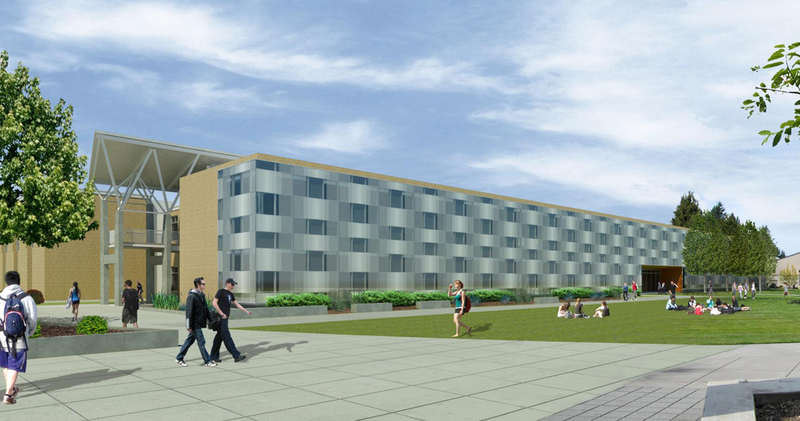 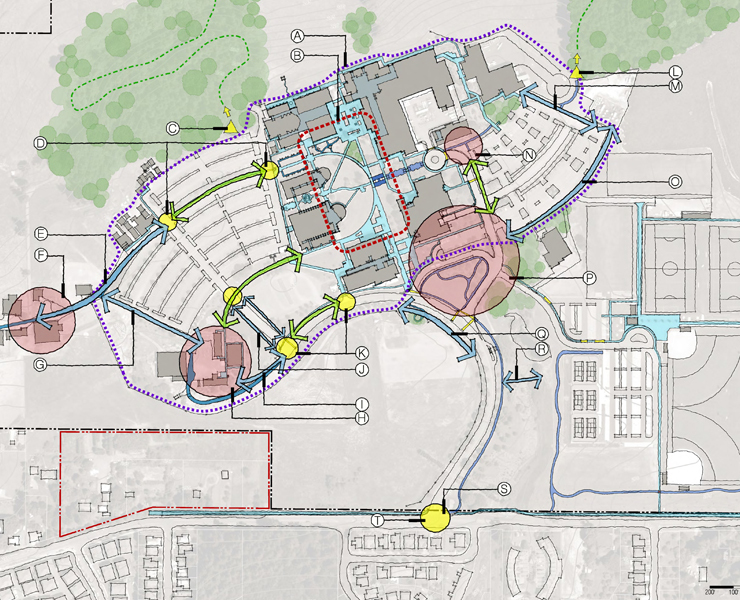 In 2009 Opsis was selected to implement the $70 million Rook Creek Campus renovation and expansion project. 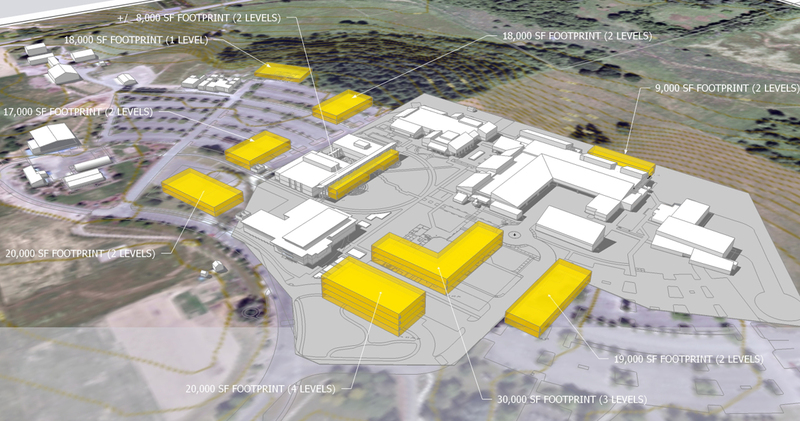 The first phase of the work is a full campus masterplan for the 256 acre campus. 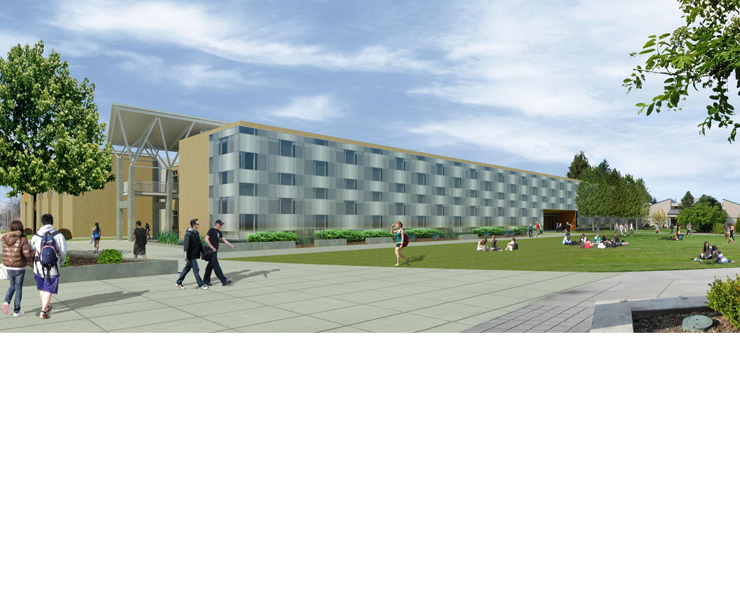 With the signing of the American Colleges and Universities Presidents Climate Commitment and the adoption of the 2009 Climate Action Plan, PCC committed to operational practices that model sustainable uses of resources. 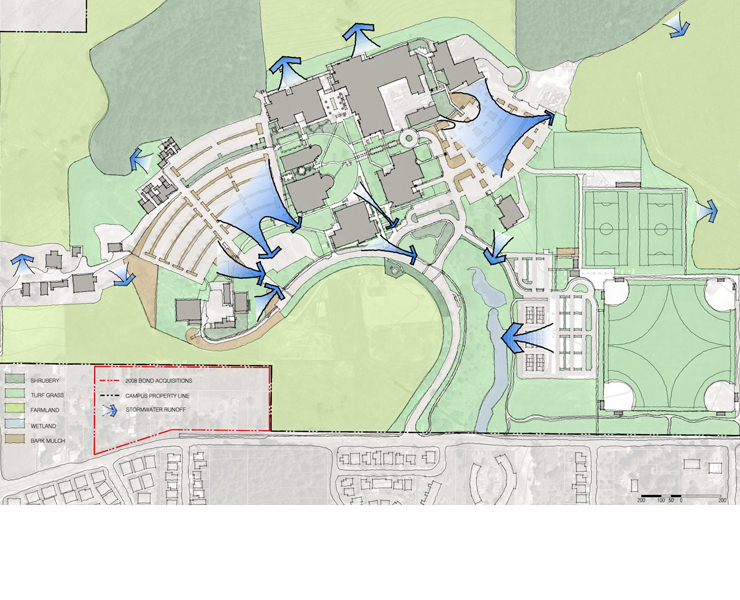 The master plan is envisioned as the first critical step in the full understanding of the existing site resources and their integration into new and renovated facilities. 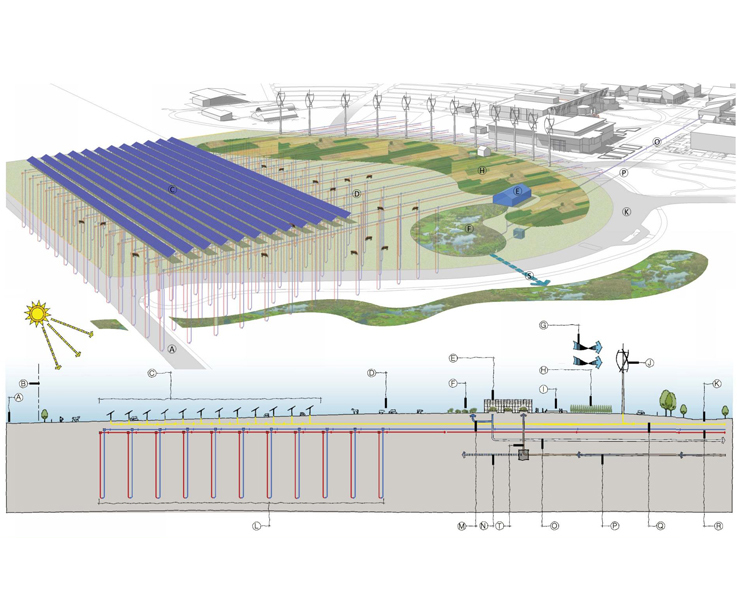 The plan establishes a goal of 40% reduction below 2006 carbon emissions by 2030. 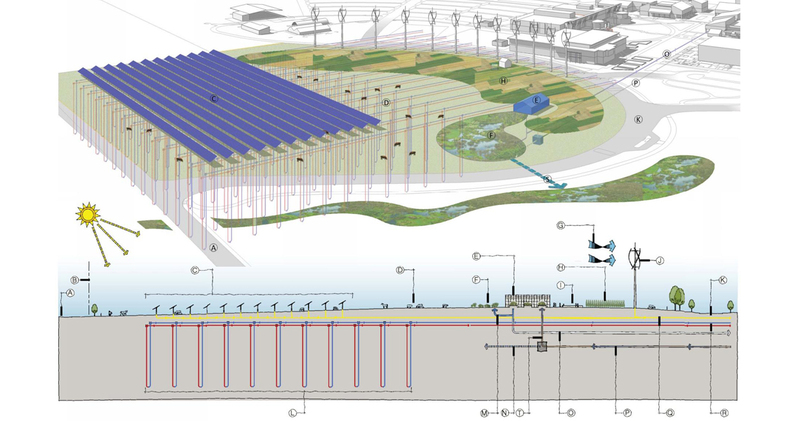 The design team completed extensive analysis of solar, wind, geothermal, hydrology, and land resources on the site. 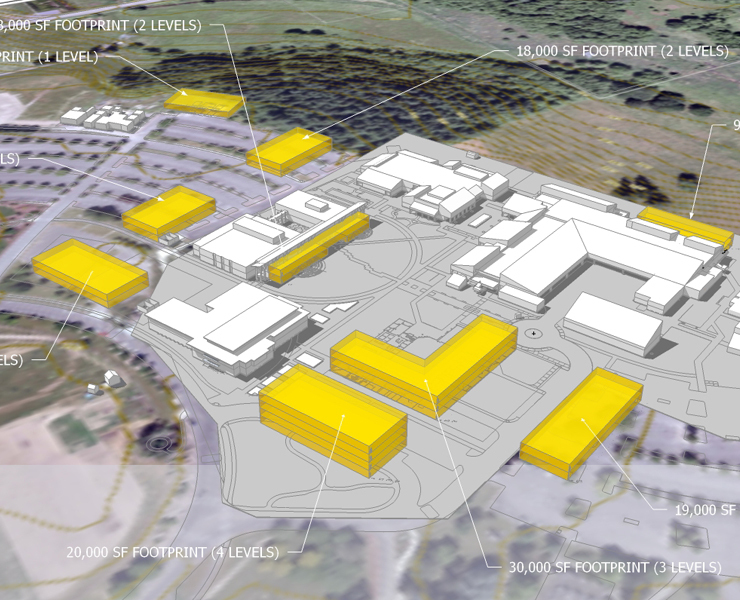 One of the key features of the plan is the development of a “Green Initiatives District” at the campus entry that develops an integrated series of sustainable systems that will be tied to campus curriculum. 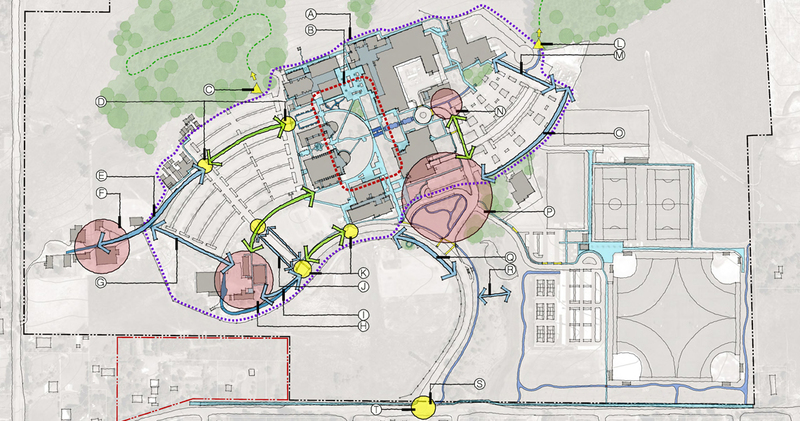 This district will form the basis of a “go green” learning resource that departments across campus can utilize to make a set of holistic sustainable strategies real life experiences for students where they can learn, experiment and better understand how to achieve a balance with our natural systems.